Philadelphia Eagles defensive coordinator Jim Schwartz. For Philadelphia Eagles fans, the 2017 season was a roller coaster of emotion, to say the least. But unlike the previous 56 times they strapped in for this same ride, the car never careened off the tracks before reaching its destination. 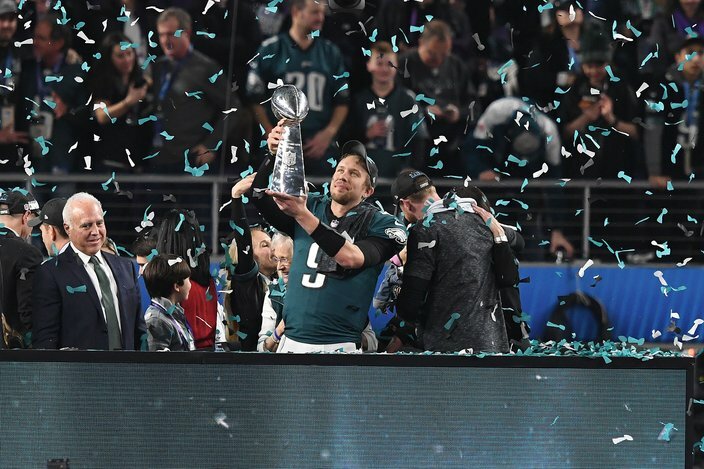 No, this time it concluded with the Eagles hoisting the Lombardi Trophy on Sunday night in Minneapolis, sparking a party in Philly that will like keep raging right through Thursday's Super Bowl parade, the first in the city's history. But that doesn't mean it was a smooth ride throughout. If the season was a roller coaster, it was an old wooden one, like the Great White on Morey's Pier in Wildwood, full of bumps and bounces and moments when you weren't quite sure you'd reach the end in one piece. Because there's a good chance you've already forgotten about some. It would seem the Eagles might bring Kelce bring in 2017. The team reportedly won’t cut him, and Eagles have said they want him back. But I’m just not buying that he’ll be around for this season. The Eagles have reportedly shopped him so it seems like they’re holding out hope for a trade. Parting with Kelce, who turns 30 in November, would save the cap-strapped Eagles a total of $3.8 million in cap room. Maybe the receivers are just that good, and the Eagles are going to break records offensively this season. Or maybe their corners just stink. 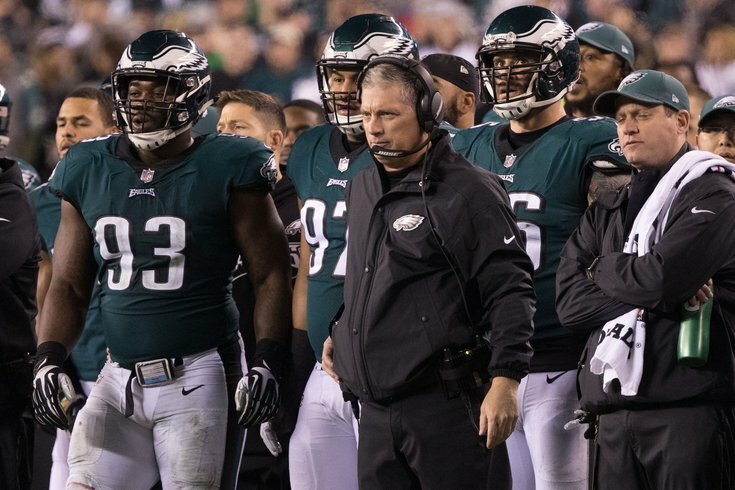 Speculation in recent days has emerged that Philadelphia Eagles starting running back LeGarrette Blount may not make the 53-man roster when NFL teams make cuts after their final preseason games. "My beloved 76ers once hired a guy by the name of Roy Rubin from Long Island University. Poor Roy. He finished 4-47 before the Sixers canned him. 4-47! Years later, Fred Carter said ‘Letting Rubin coach was like letting a teenager run a big corporation.’"
"Hey Fred, meet the Eagles’ head coach, Doug Pederson! Now, everybody knows Pederson isn’t a head coach. He might be less qualified to coach a team than anyone I’ve ever seen in my 30-plus years in the NFL. "It is [more significant to lose leaders like this]," Pederson said. "When you look at the injury list, the guys we've lost – Darren Sproles, Chris Maragos, JP, Jordan – guys that are significant starters and role players and leaders on your football team. Captains of your football team. It can make an impact. "I think one of the things that I've talked about – and hopefully you've seen it with the players – is that it's definitely the 'next man up' [philosophy] and they rally around the guys who are hurt and support them. But at the same time, the bigger picture is that we still have a lot of football left and we still have a game this Sunday. The Philadelphia Eagles suffered their doomsday scenario on Sunday when Carson Wentz tore his ACL while trying to run for a touchdown against the Los Angeles Rams. Doug Pederson confirmed the tear in his day-after press conference Monday afternoon. Wentz was having an MVP-caliber season, as he had completed 265 of 440 passes for 3296 yards, 33 TD, 7 INT, and a passer rating of 101.9, leading the Eagles to an 11-2 record.